By running in the Republican primary, Michael Bloomberg would be able to force Trump to campaign and to answer charges from somebody who is viewed not as a fiery liberal, like almost the entire Democratic field, but from an older white businessman. The Republican Party has backed itself into a difficult corner. They have pivoted from being a right of center party to a right wing populist party and have elevated running interference for a corrupt, incompetent grifter to its central value. As the Republican Party leadership has wholeheartedly committed itself to defending Donald Trump against a battery of charges regarding his relationship with Moscow, unethical behavior and sexual predation-charges that are extremely difficult to ignore or deny-they have sacrificed their future for short term survival. The problem this creates for the Republican Party is that with the passage of time they will become even more unpopular and unmoored from the conservative principles that once defined their party. This problem is exacerbated by a battery of issue positions, most notably on the environment, but also on guns, that are out of step with the American people and even with the rest of the global conservative, or even populist, movement. For example, no other major political party in the democratic world denies the reality of climate change. Over the last two decades or so, the Republican Party has been captured by its right flank, which has contributed both to the nomination of a candidate like Trump in 2016, whose anger and racial resentment, more accurately, racism, resonated so deeply with that base, as well as to positions that are untenable, grounded in fantasy and not popular with the American people. There is space for a conservative party in American politics that could capture the center right, much of the center and, while not exciting the right wing base, would still get most of their votes. It is not hard to imagine the positions that party might have: a belief in low taxes and limited spending; an approach to issues of tolerance and diversity that while not overtly racist would not embrace pro-active solutions or see much need to address these problems, support for police and law enforcement, a commitment to innovative market-based solutions to climate change and conservative positions on many social issues, but not much emphasis on those issues. This party would be more rational, even saner, than today’s Republican Party, but would be distinctly conservative. This vision of the Republican Party will not win out in 2020, but it is always good to start long term projects sooner rather than later. This is where Michael Bloomberg comes into the picture. The former three term New York City mayor has pledged to spend enormous amounts of money to defeat Donald Trump in 2020. He has also more than hinted that he might enter the Democratic primary. The latter action would not be a very effective way to achieve the former goal. Bloomberg is unlikely to win the Democratic nomination because, despite, and because of, his extraordinary wealth, he does not resonate with the progressives and people of color that make up so much of the Democratic primary electorate. For these same reasons, as well as the challenges he will face reaching white working class voters, Bloomberg would not be as strong general election candidate against Trump as so many white professionals seem to think. The place where Bloomberg could make an enormous impact is in the Republican primary. 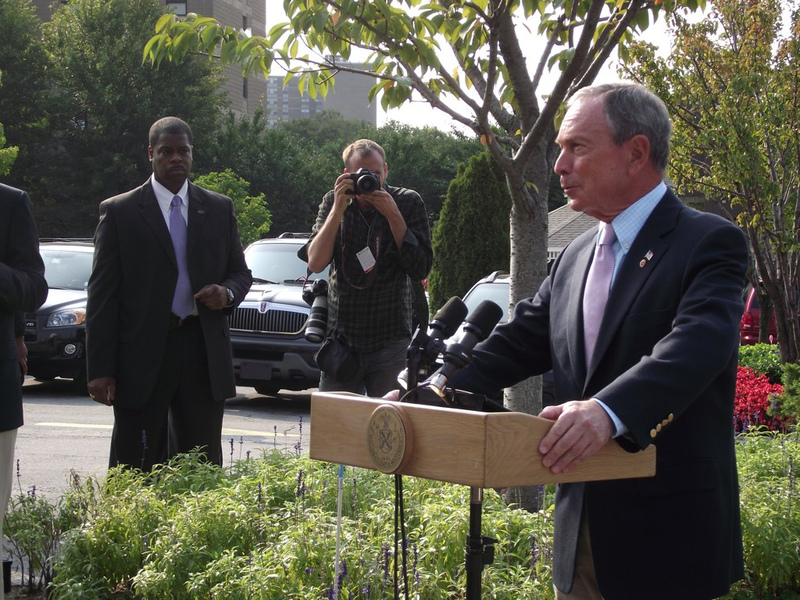 Bloomberg is no longer a Republican, but won his first two mayoral terms as a member of that party. If he were challenge Trump from within the Republican Party, Bloomberg would probably not win, but could badly damage Trump while helping to reframe the GOP as a viable conservative party for the 21st century. The contrast between Bloomberg and Trump is stark and would appeal to moderate and business oriented Republicans. Unlike Trump, Bloomberg made his money himself, is not dogged by charges of criminal and unethical behavior throughout his professional life and is able to speak and think clearly about policies. His record as mayor of New York, while viewed negatively by many Democrats who were not happy with his commitment to stop and frisk policies and his focus on wealthy New Yorkers above others, is almost universally lauded by Republicans, including many who either live in New York or visited the city during his tenure as mayor. Moreover, his positions on business, taxes and spending are much more suited to today’s Republican than Democratic Party. Bloomberg’s very large contributions to organizations fighting climate change and advocating reasonable gun laws are very laudable, but would hurt him badly in a Republican primary. Those actions combined with Trump’s enduring popularity among Republicans would make it almost impossible for Bloomberg to defeat Trump. However, it is also likely that Bloomberg will poll better against Democratic challengers than Trump as the latter’s popularity has not grown beyond his base in the last two years. This could buoy Bloomberg’s Republican primary campaign as well. By running in the Republican primary, Bloomberg would be able to force Trump to campaign and to answer charges from somebody who is viewed not as a fiery liberal, like almost the entire Democratic field, but from an older white businessman. Keeping that political heat on Trump for the first half of 2020 would further weaken the incumbent President going into the election. It would also present a new vision for the Republican Party, one that is largely true to the economic principles that have always been at its core, but that is not dominated by the magical thinking of tea partiers, climate change deniers and religious fundamentalists.